If you’ve been on the fence about Steven Spielberg’s buzzy remake of West Side Story, there’s no time like the present to get on board. The latest casting announcement, which comes on the heels of confirmation young heartthrob Ansel Elgort will play male lead Tony, will surely win you over because EGOT winner and alum of the 1961 film adaptation, Rita Moreno, has officially signed on. 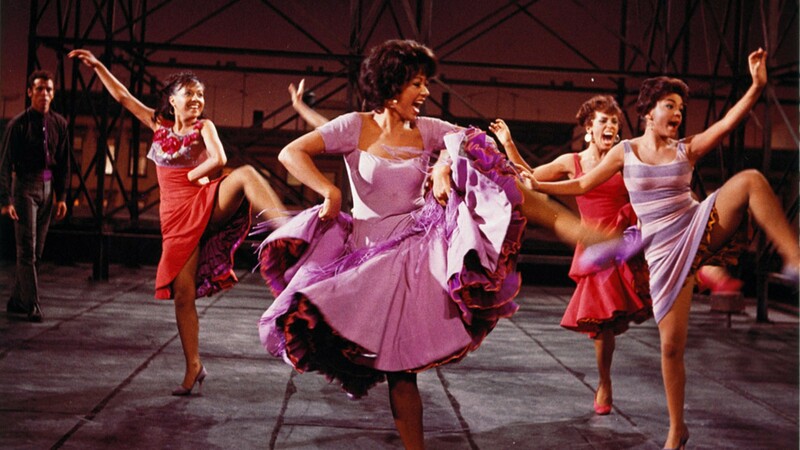 While one could pick a hundred moments from Moreno’s impressive career to immortalize, her turn as Anita in the 1961 version of West Side Story is arguably the most memorable role of them all. She even took home the best supporting actress Oscar in 1962 for her portrayal of the girlfriend of Bernardo, the head of the Puerto Rican gang known as the Sharks. And now, she’ll have the chance to step back into that world once more. Per Deadline, she’ll be playing Valentino, a reconceived version of the character Doc. Fans of the original will remember Doc was the owner of the corner store in which Tony worked. No word yet on whether Moreno, who sang such tunes as “America” and “Tonight Quintet” in the original, will once again be showing off her impressive pipes. However, it seems like a safe bet. “From our earliest discussions, we wanted to include Rita Moreno in our production. Her Anita is one of the greatest musical performances ever filmed, and a personal favorite of mine. We created an original role for her, and we feel beyond fortunate that Rita will bring her extraordinary gifts as an actress, as well as her deep understanding of West Side Story to this production as an executive producer,” Spielberg told Deadline. Pulitzer Prize-winning playwright and screenwriter Kushner penning the screenplay makes it all the more likely the reboot could rival the original’s 10 Academy Awards (including Moreno’s best supporting actress). According to Kushner, fans will have lots to love about the new take on this old classic. “It’s not a straightforward remake [of the movie], but it’s definitely the Jets and the Sharks. It’s New York City. I think people will find a new way to love the story and to love the songs through our interpretation,” Kushner told Vanity Fair in October.